There are various factors that trigger and affect allergies. Environmental factors, in particular, play an important part in the severity of allergy reactions. This article contains an in-depth analysis of effects of weather on allergies. During the summer season, allergies may get triggered due to pollens released in abundance by grass and trees. This situation is particularly more common at the start of the season. Furthermore, allergic reactions can also be triggered due to weeds during the summer. In addition to that, air pollution generally rises in the summer season due to smog and other environmental factors. Thus, high amount of allergens and molds are found in the air and affect people who suffer from seasonal allergies. Rainfall during summers also assists in the growth of mold as the amount of moisture in the air increases. However, on the positive side, rainfall makes the air pollen-free; thus, it can be termed as a blessing in disguise for people with pollen allergies. For people with seasonal allergies, the spring season is the most difficult one for them as pollen production is in its full swing. They get released in large numbers from plants and trees. Furthermore, when the wind blows in the spring season, it helps the pollen to spread. Thus, more and more people get affected by these allergies. Wind can also cause hay fever because of pollens in it. In the fall season, individuals with pollen allergies can breathe a sigh of relief as trees and plants release a reduced number of pollens. However, those who suffer from mold allergy, fall is a difficult season for them because the growth of molds is at its maximum during this time of the year particularly in areas that remain cold for the most part of the year. Winter season comes with its own set of allergies. Those people who have pollen allergy are at ease during this season since most of the people stay indoors. Moreover, trees and plants do not release pollens in excess quantity. However, some indoor allergens such as dust mites and pet dander come into action in winters. Cold air that blows in the winter season can severely affect people who suffer from allergic asthma. In addition to the factors mentioned above, the severity of the weather and longevity of the season also affects the allergic reaction intensity. For example, due to global warming, summer seasons have prolonged in different parts of the world. This also changes the timing of trees pollination. In certain parts of the world, trees start to pollinate earlier than usual. As a result, the intensity of seasonal allergies also fluctuate. 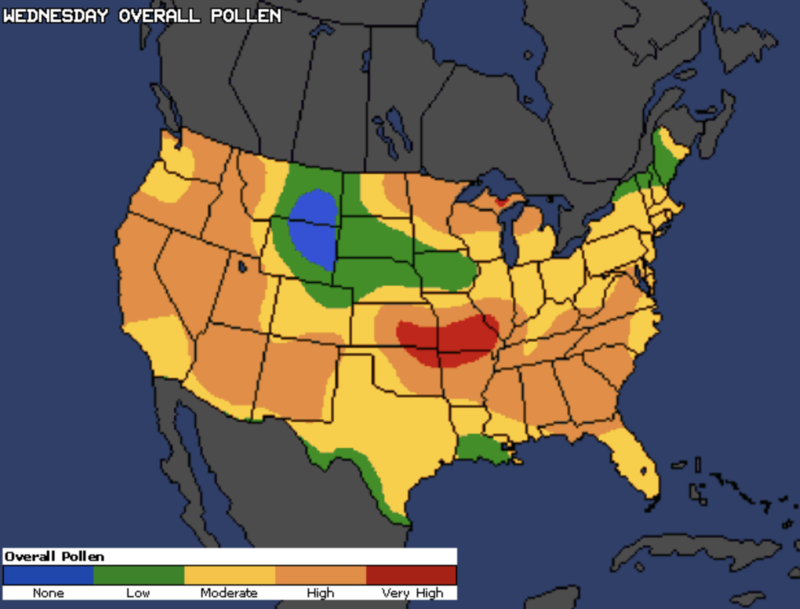 In conclusion, it can be safely said that weather has a great impact on different allergies. If you are suffering from any such allergy, it is advised to follow precautionary measures before the change of season. It is important to know about the allergy you are suffering from in detail i.e. its symptoms, treatment options etc. so that the allergy effects can be alleviated.